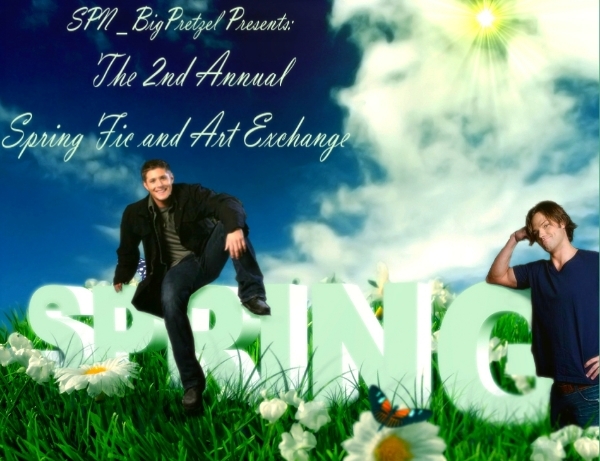 Announcing the 2nd Annual spn_bigpretzel fic and art exchange. Go HERE for details and sign-ups. Isn't this banner just plain beautiful and happy? Go sign up! It's only a 1,000 word story, and you get one in return for one of your prompts. There's already a whole lot of great prompts that are giving me tons of ideas.